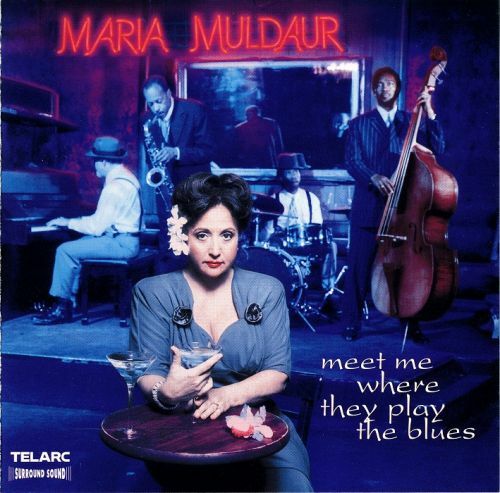 Dedicated to the late Charles Brown, Maria Muldaur's Meet Me Where They Play the Blues smokes and sizzles. A tightly packed collection of 12 songs on slow burn, the CD begins with the sensual "Soothe Me," highlighting the smooth-as-silk quality of Muldaur's voice. Other highlights include a duet with Brown on the classic "Gee Baby, Ain't I Good to You," a naturally sassy take on "It Ain't the Meat, It's the Motion," an affectionate tribute to both Brown and the late Johnny Adams with "He Don't Have the Blues Anymore," and a rousing conclusion (complete with gospel-style backup singers) with "The Promised Land." The liner notes indicate that Brown was the inspiration for this album, and one can hear it in every note of Muldaur's soulful voice. Замечательный альбом!... Тут много того, за что я и люблю БЛЮЗ!